The 5th leg of the ISSF World Cup took place in Gabala (AZE) during 8 – 13 June and it was a great success for Lapua. We thank all supporters and congratulate all our athletes for great performances! In the Men’s 50m Rifle Prone event, Lapua sponsored shooters Torben Grimmel (DEN) and Lionel Cox (BEL) joined in the success, winning the gold medal and the bronze medal respectively. Lapua sponsored shooter Shi Mengyao (CHI) won the gold medal and set the new Junior World Record in the women’s 50m Rifle 3 Positions event, while Lapua Shooter Stine Holtze Nielsen (DEN) took home the bronze. 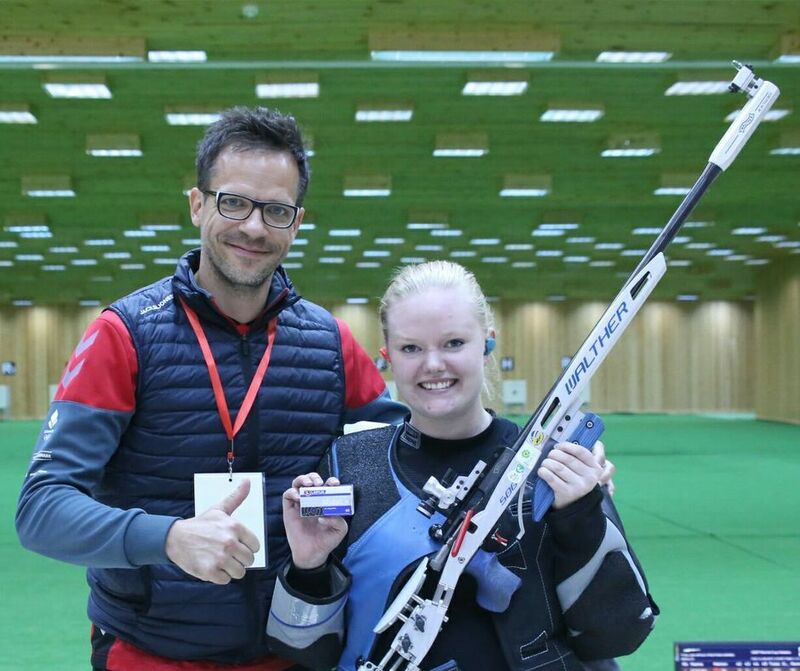 The picture on top shows Stine together with her batch tested Lapua Midas+ and her proud coach Enrico Friedemann. 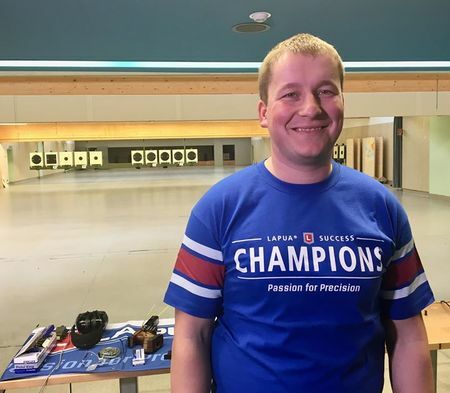 Lapua Team member Christian Reitz (GER) won the 11th Gold of his career and equalled the World Record of 35 hits in the Rapid Fire Pistol event. Lapua sponsored shooter Riccardo Mazzetti (ITA), who holds the earlierWorld Record that Reitz equalled, took the bronze in the same discipline.